Joel Feder February 8, 2012 Comment Now! The GMC Acadia has been on the market for five years, and at long last, GM has an updated version coming for the new model year. Now, GMC has revealed the refreshed 2013 Acadia at the 2012 Chicago Auto Show. 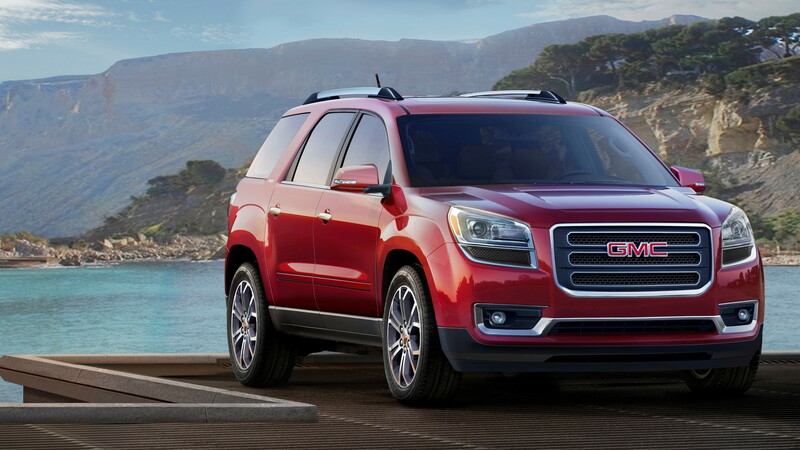 Up front the Acadia gains a new three-bar grille and LED daytime running lights with a more upright front-end design. New taillights and a new rear spoiler complement the wrap-around rear glass. New 18-inch and 19-inch wheels will be available. 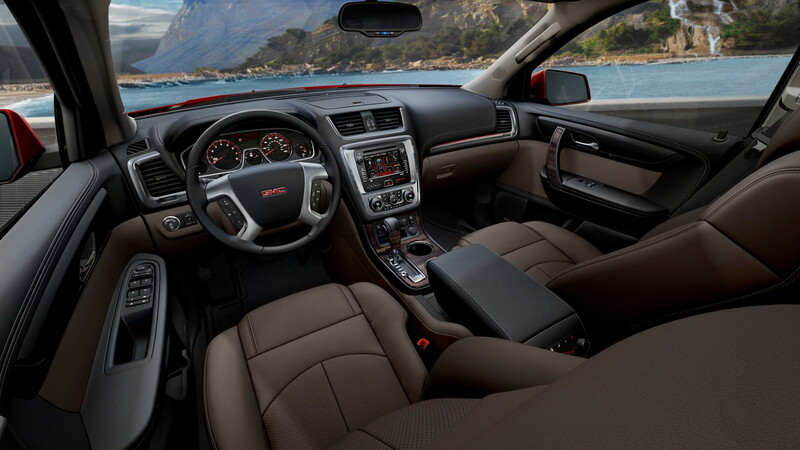 GMC has upgraded the interior with soft-touch materials and SLT models feature aluminum accents on the center console, doors, and dashboard. French stitching and ambient lighting are are standard as is the SmartSlide seating system. 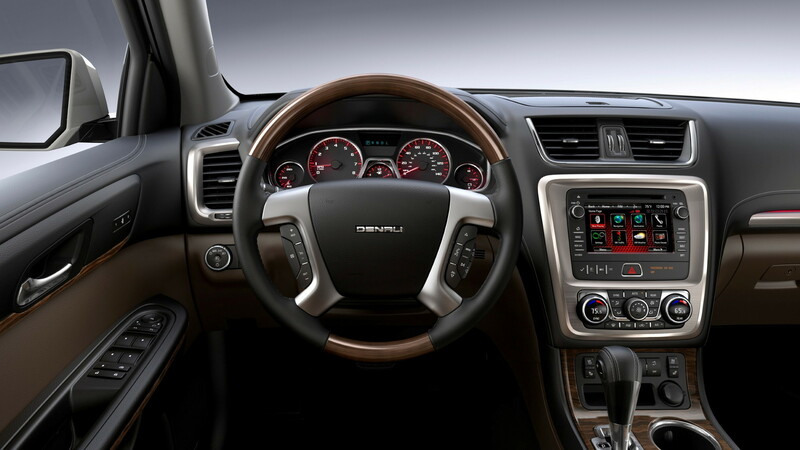 The redesigned infotainment system now features capacitive touch controls and GMC's Color Touch Radio. IntelliLink and HD Radio are available options along with a rear-seat entertainment system. Power is provided by a 3.6-liter direct-injection V-6 rated at 288 horsepower and 270 pound-feet of torque. The six-speed automatic transmission sends power to the front wheels, and all-wheel drive is an option. In front-wheel-drive configurations the EPA estimates fuel economy at 17 mpg in the city and 24 on the highway, while all-wheel drive will sap 1 mpg from both numbers for an estimated 16/23-mpg rating. 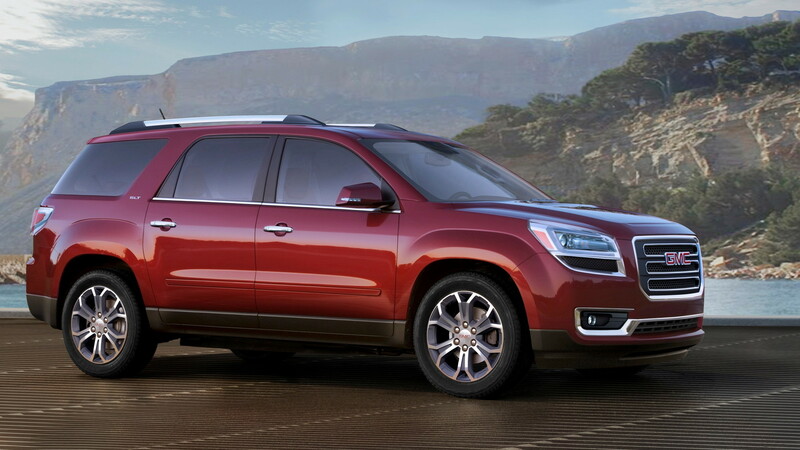 For the safety-conscious, the 2013 Acadia is available with GMC's new front-center airbag system along with blind-spot monitors. Every Acadia will come with standard with six months of OnStar service. 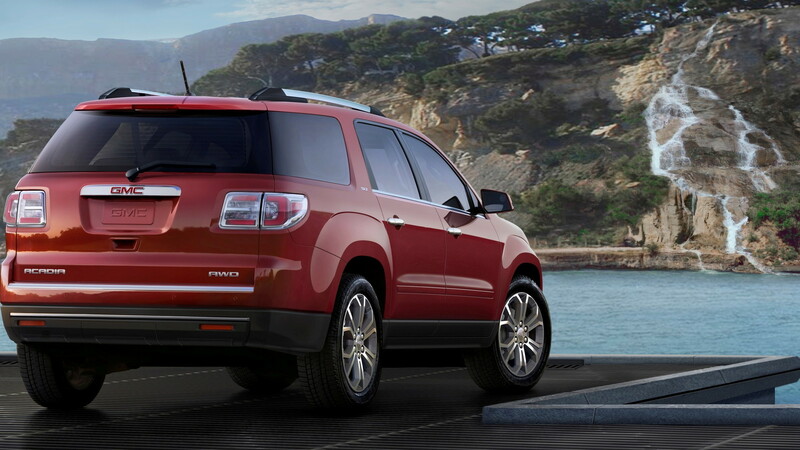 While pricing hasn't been announced yet, the 2013 Acadia will go on sale later this year. For all the news from the 2012 Chicago Auto Show make sure to check our hub right here, or follow us on Facebook and Twitter.